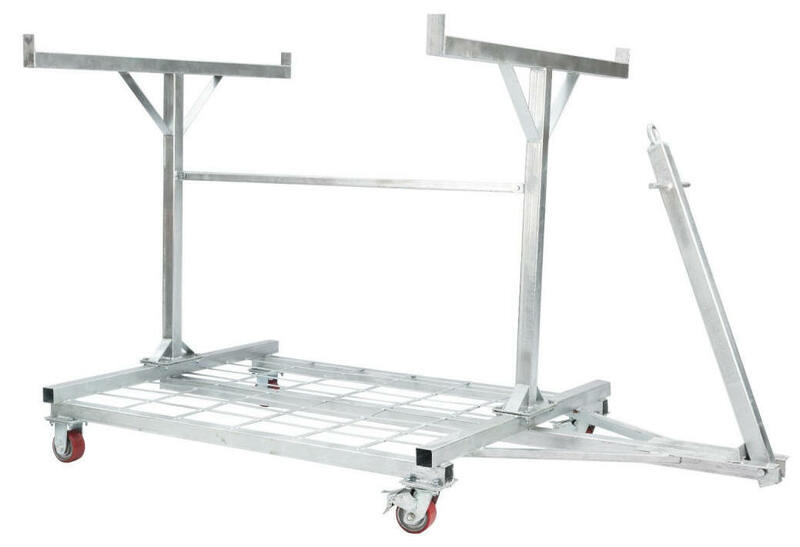 If you don’t keep your crowd control barricades organized, they can take up a lot of valuable space. 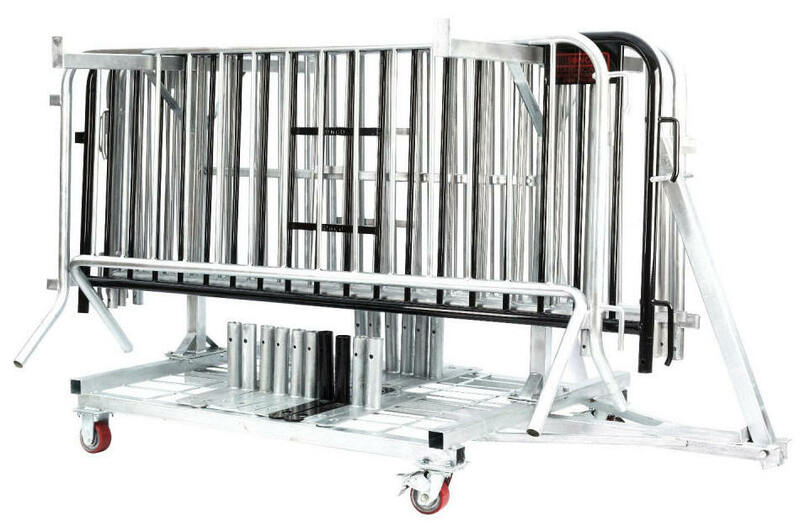 We offer a the Barricade Cart from Sonco which offers a large storage capacity of 30 8′ barricades. Bottom tray allows for storage of barricade feet. Side loading allows for employees to easily load the cart by only having to lift the crowd control barriers a few inches of the ground. 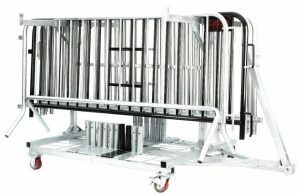 Transport your steel barricades by hand or attach to a utility vehicle.